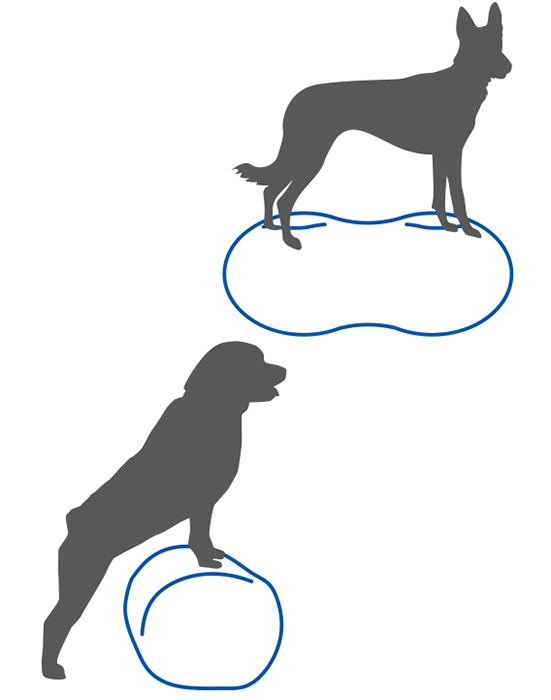 The FitPAWS® TRAX™ Peanut can be utilize as a touch target, an obstacle, and as a tool for Stability/Core Training. The Peanut provides a high-to-ground and moderate-to-high level balance challenge. Use the FitPAWS® Peanut for all 5 aspects of Canine Fitness & Performance™ (CFP™) training.